This cafe is perfect for someone looking for a relatively easy business to operate with either a family member or merely an employee. No headaches of having to hire multiple employees. Here�s the real kicker. Rent, all utilities, cleaning, trash, etc., are included in one fantastically low rental lease of just $250 a month! This is not a misprint. You�ll be hard pressed to find a gem like this. No restrooms to clean, no rags to wash � just drop the dirty laundry and pick up clean ones at will. Can�t be easier than this! Won�t your family and employees like this. Free club usage, a great benefit to offer, this will help you attract great employees. This cafe has a beautiful ambiance in a great setting screaming for an energetic operator to take it to the next level. The club is located in one of Sacramento's upscale neighborhoods. Caf� being inside the club makes it really safe. 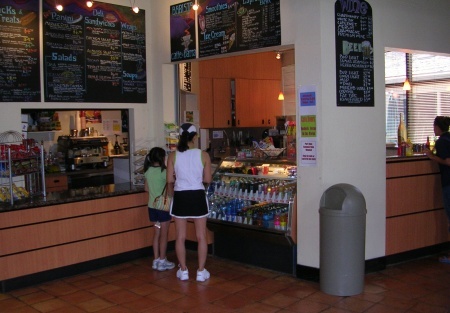 This Cafe has operated for over 10 years with stable income and established clientele. The operation is simple and real low maintenance, no hard cooking and comes with a type 41 beer and wine license. Even a Conti espresso machine is included. Menu includes sandwiches, salads, paninis and wraps. Smoothies and highly profitable protein drinks too. The club is a premier property � 25 tennis courts, two swimming pools, yoga, racquetball and state-of-the-art full exercise gym. The lease has 4 years remaining but the landlord will work out a longer new lease for the buyer, just like they did for the current sellers. So check out this fabulous opportunity to own a beautiful property, highly profitable, low maintenance with huge potential for growth. TAKE THE NEXT STEP. Select the bright orange button below title "want name and address." Register if you're a new client. Then get the name and address by agreeing to the confidential agreement. This will also place you on our exclusive Buyer's e-mail list, giving you first look at our new listings.This is a Paramount Restaurant Brokers, Inc. DBA SellingRestaurants.com listing.